They’re both the same, and they’re both inevitable. So why is one’s ending so much better? Telltale’s The Walking Dead is unofficially 2012’s Game of the Year (though we decided otherwise in GamingBolt’s Game of the Year Awards). Out of pretty much nowhere, Telltale Games went from small time adventure game developer to big time AAA developer. Even if that change hasn’t taken effect structurally, the developer’s profile has been significantly raised since it debuted with the Episodes. Surprisingly, it’s managed to win people’s hearts and minds over a ton of high-profile games and sequels that otherwise dominated it in the headlines. 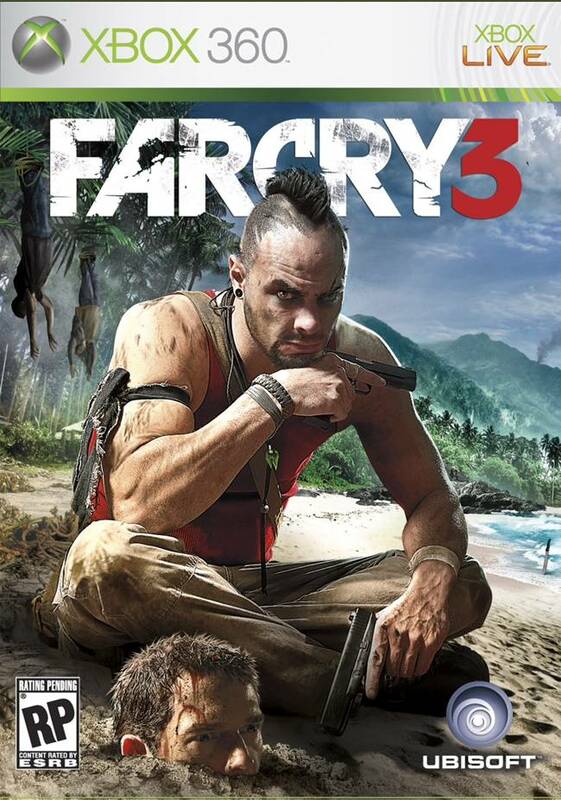 Mass Effect 3, Far Cry 3, Dishonored, Halo 4, Assassin’s Creed 3, Hitman: Absolution…the list just goes on and on. Keep in mind, all of the above games are pretty solid experiences and any gamer worth his salt should play them once before he dies (seriously). However, when looking at Episode 5: No Time Left and how it ended with a literal cliffhanger, I couldn’t help but be reminded of another title that left gamers proverbially hanging: Mass Effect 3. Rest assured, we’ll be discussing spoilers in this article so avert your eyes if you haven’t finished either title. 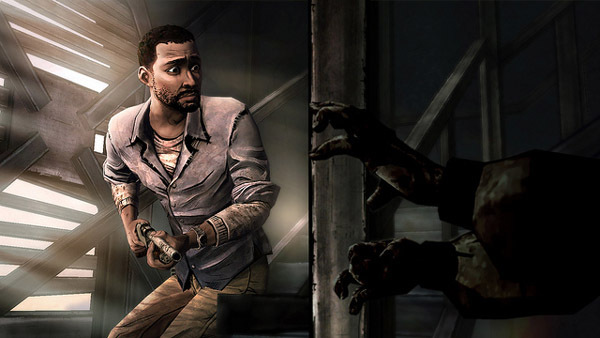 For those who played Episode 4, they knew that protagonist Lee Everett had been bitten by a zombie. In The Walking Dead universe, aside from amputating the infected limb (which has a 50-50 chance of success), there aren’t remedies for this. So in Episode 5, he dutifully rescues Clementine and has himself shackled, helping her to escape amid zombies and his own out of control impulses to save her life. The game ends with Clementine seeing two zombie figures in the distance who turn to look at her, as she nervously readies her gun. Her fate is left unknown. The amazing thing about this scene is that it resembles one of the beginning scenes from the game. It carries dual meanings of course – hope or no hope left – but also indicates that it doesn’t matter. Like in The Walking Dead comics, how you approach the situation is ultimately up to you because there is no escape. Like a nightmarish re-imagining of Waiting for Godot, this existence is the only existence and how you choose to live it is ultimately up to you. And as the comics have showcased, just going back to the way things were doesn’t work out. By contrast, Mass Effect 3’s ending wasn’t about the end of the Reapers so much as about understanding their “how” and “why”. It also (originally) reflected Commander Shepard’s mindset – how he went from plucky newbie to a rising soldier of fame before finally falling to his own ambitions. It indicated that the Reapers aren’t a presence just anyone can escape from, and that their cycle is inevitable and continuous. Sure, the player could choose to alter it but that wasn’t the point (and which riled up fans in the first place, as they felt that all their choices ultimately didn’t make a difference). The point is, depending on how you look at it, the Reapers’ cycle could be one of greater good or unending evil. It is what it is. 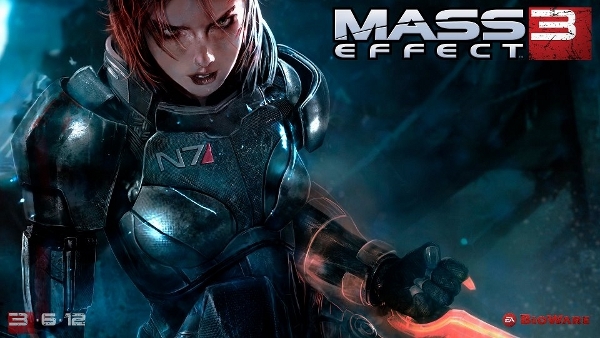 Both Mass Effect 3 and The Walking Dead killed their protagonists. And both games ended with the note that all your choices, all your sacrifices, everything, was worth nothing in averting your character’s ultimate fate. In a way, they’re both indicative tales of Fate itself. That ultimately, no matter what one does, they don’t have the ultimate say in how their story turns out, even if they are being controlled by a higher power like the Gamer. Yet Mass Effect 3’s ending was panned universally while The Walking Dead’s was praised to the high heavens. What on Earth did they do differently? Both are tales of ultimate redemption and sacrifice. Both are tales of insignificance and the power of fate. Both are tales of the never-ending cycle of life, and how we can choose to look at it as hopeful or full of never-ending pain. 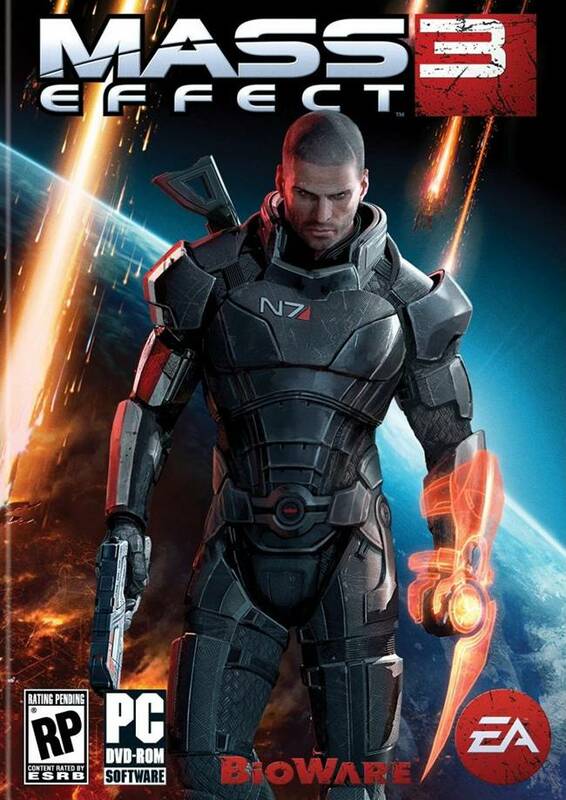 Mass Effect, for its part, never carried that stigma of being a character portrait despite Bioware practically shouting it from the rooftops all the time with “Shepard this” and “Shepard that”. The Walking Dead, on the other hand, not only put players in a universe they know is rightly screwed but laid out the fragility of life in every single character and plot instance. In The Walking Dead, all life is sacred but it’s nonetheless disposable and nothing can stop people from dying. That’s the horror, that ever-present inevitability of death, and you’ll witness it numerous times before realizing you’re the only one it hasn’t hit. For good measure, that makes Clementine the perfect sole survivor in plot terms. Because now she must live with that horror, that dread of inevitability. Lee was the one thing protecting her, sacrificing his will to insatiable fate. Does she live? Does she die? Either way, the cycle continues and it’s out of her hands. Whether Bioware intended for its tale of sacrifice and heroism to reflect that cruel inevitability or not can be seen in the response. Many people just didn’t “get it”, almost a snide proclamation to their inferiority. But it’s neither the gamer’s fault nor Bioware’s. It just is what it is: inevitable. Only, it’s the gamer in these cases who decides when he’s had enough of that inevitability, stops suspending his disbelief and attacks the game for leading him on. Mass Effect 3 couldn’t persuade the gamer against that. The Walking Dead could, and succeeded. So even if they’re pretty much the same story, you’ll only hear a slight pause regarding the quality of the ending for one.